In this video and the following transcript, I share about some of the translations. My book Heaven for Kids is in Korean. And when I first got it, I thought, “Isn’t that cute? They’ve got all these Korean kids on the cover, and this old man with a cane.” And then I realized that the old man with the funny-looking hat and cane is supposed to be me! He said, “Well, not only are they not green, I have no idea why they would portray Indonesian children as green.” But that is just one of the characteristics of another culture. 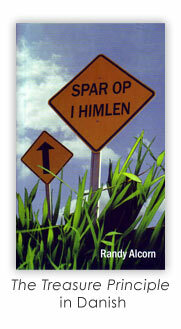 Another one I really like is the Danish translation of The Treasure Principle, titled Spar Op I Himlen. What it means is, “Saved up in the Sky.” The idea is, when we invest our treasures in Heaven rather than on Earth as Jesus said, they’re saved up in the sky. I was really excited to receive a copy of my Heaven book that has been translated into the Nepali language. Back when I was in Bible college, they talked about Nepal and how there were only something like 15,000 believers in the entire country. And now, there’s one-half million, maybe closer to a million, known believers and they are actually having Christian literature translated into their language. That thrills me and most importantly, I think it thrills the heart of God. Just got book of why Pro-Life - ( English) personal I studied ,it’s very useful to my life and my work also need of our Christian community also Our Church youth , I long time ago I am working HIV Ministry , it’s very full to me, at the moment I am spoken some of the Church and youth get-together , I feel your Eternal perspective ministries need our Place in Nepal , also I am praying. 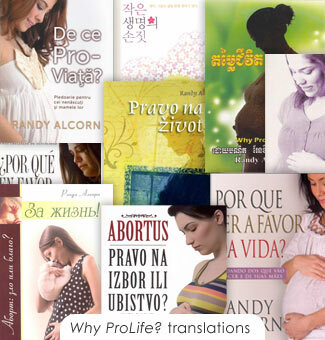 One of my great joys is to see my books translated into languages around the world. To date, there have been translations in over seventy languages. I’m also fascinated by the titles the translators choose, wondering what exactly they mean to those who will read them. We don’t have to feel badly about writing specifically to people who live in places and situations similar to us, but there is power in focusing on God’s Word and writing about how it applies to our lives, regardless of where and how we live.